Launched in 2012, amba brand was created by Ambassador Hotels, the first international-standard luxury hotel in Taiwan back in 1962. 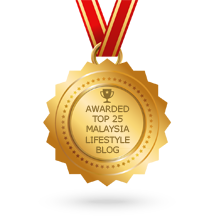 It’s the first 4 letters from AMBAssador makes the new brand – amba. 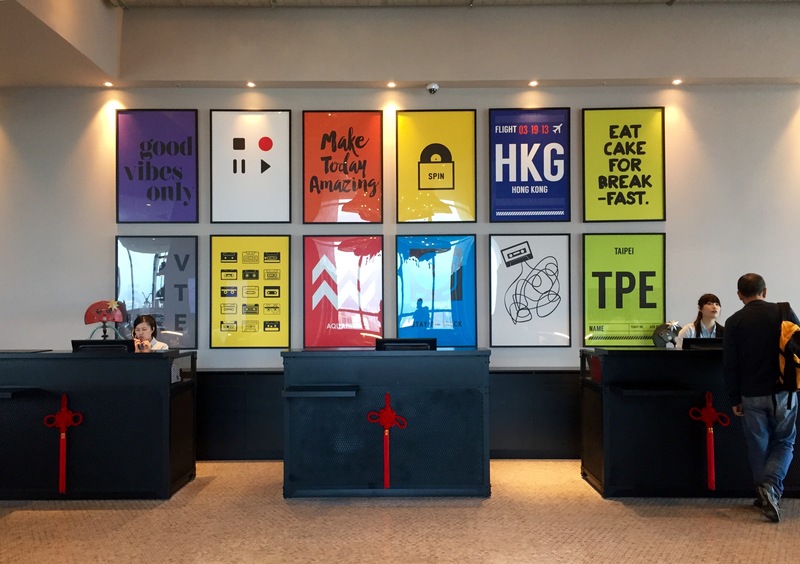 amba – The modernly-quirky hotel stay for savvy urban travelers! With all the fun elements in amba Hotels, you will find yourself in a completely different hotel stay that you can’t find else where! Especially for those who really appreciates creativity, connectivity and conservation, you would fall in love with amba and get inspired as you dig into the arts around the hotel. The vibes start from the moment you enter the hotel lobby. 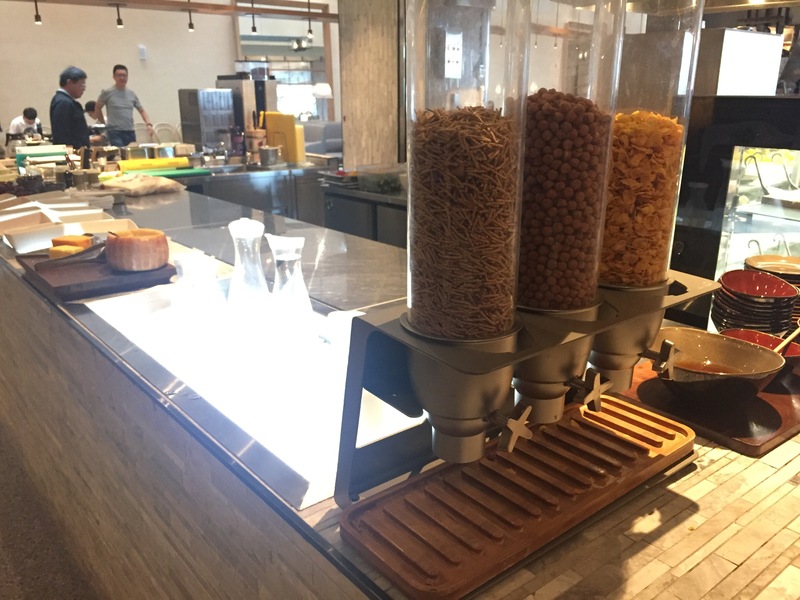 It’s so the next-generation design concept with the integration of form, function, and fun to create simple, comfortable spaces with a designer twist as you can feel it from entering the lobby. Social Space that connects you with other travelers. 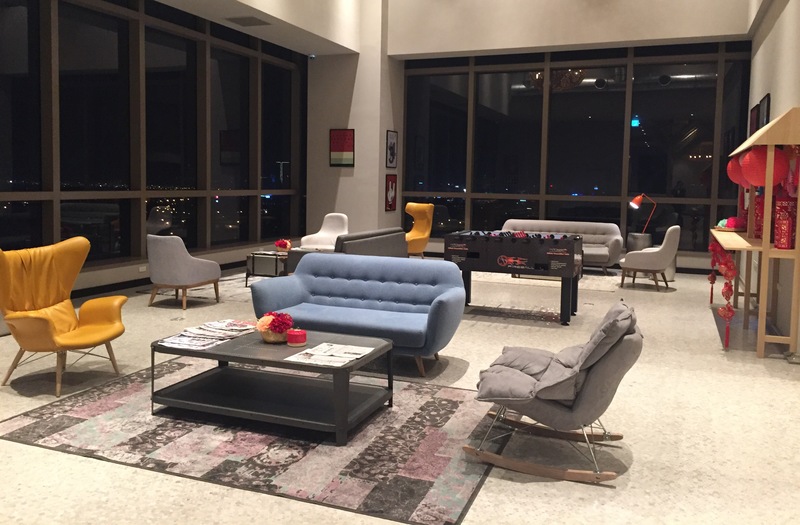 Located right beside the hotel lobby is a very nice and spacious social space where you can rest while enjoying the magnificent views of Eastern Taipei! 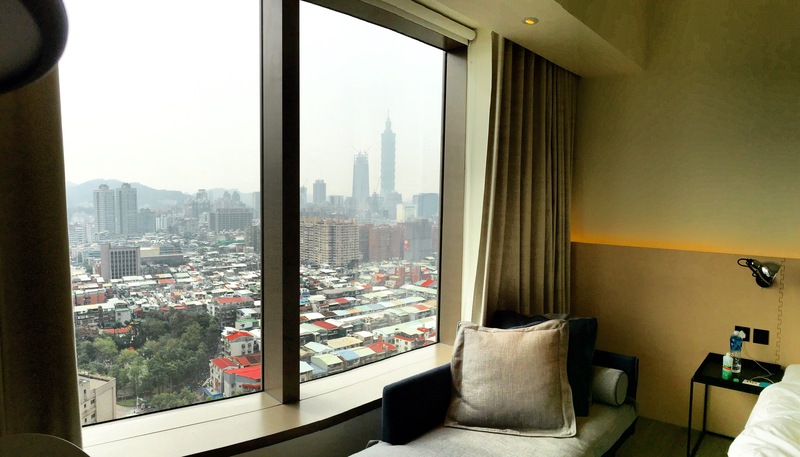 Feeling chillax the moment you open your room door as the great view of Eastern Taipei welcomes you! You can choose either to get the views of the Keelung River or Taipei 101 which is the one I’m staying. The room is really spacious, coming with a double bed and a couch that overseeing the views from the glass window which really makes you doesn’t want to leave the hotel room. Work smart and recharge comfortably with amba essentials. Eco-friendly materials and all natural products are used to advocate for a healthy, sustainable environment. 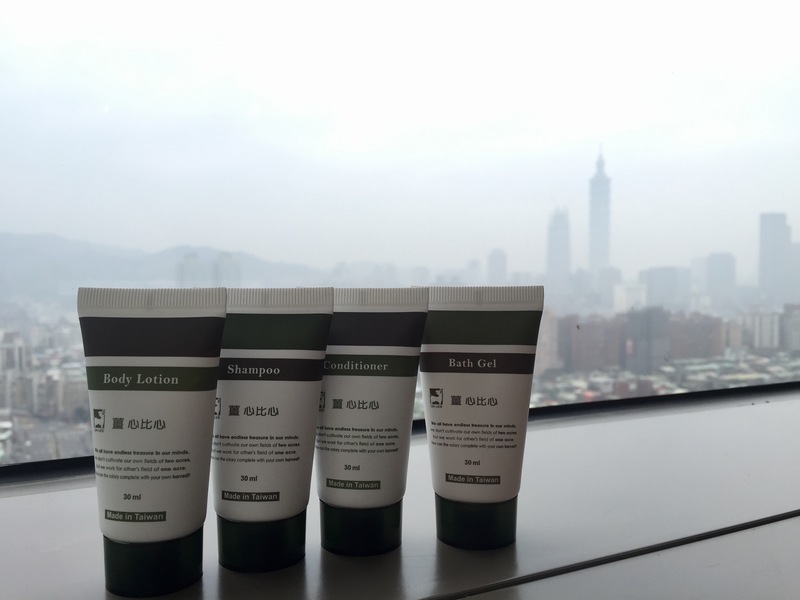 With all the amenities provided are really good Made in Taiwan products – 薑心比心 is one of the popular brand using ginger as the main ingredients for all their products, the smells and scents are really good and if you really like the products, you will be able to purchase it at the hotel lobby too! It was really a surprise to see this rather than 3 in 1 coffee mix! Fun Hallway that you shouldn’t miss. So it was really a long hallway from the elevator to your room? Don’t worry as you’ll have fun looking at the hotel rooms’ numbers. 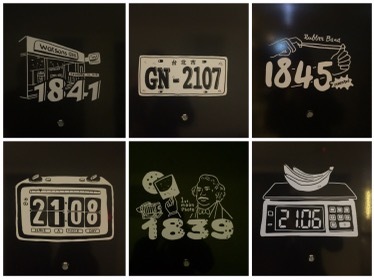 Each number is carefully designed into a fun fact!! Worry no more if you have bulky luggage because they have trolley standby. 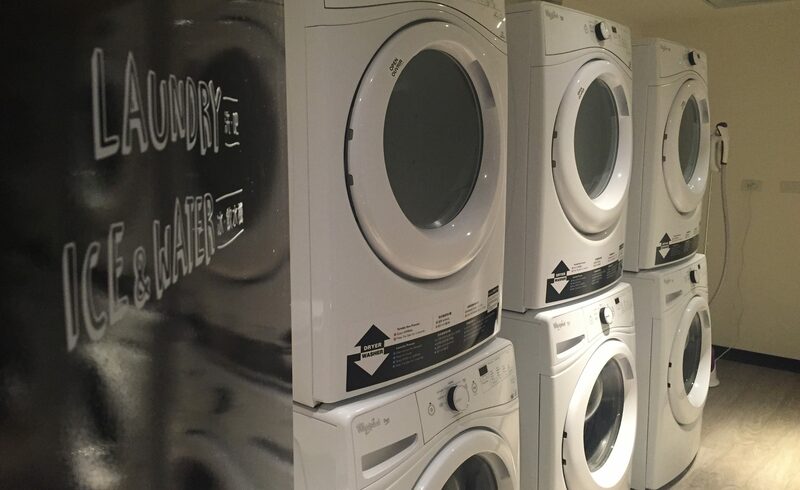 With free detergent and softener, you get to use the washing machine and dryer for FREE. 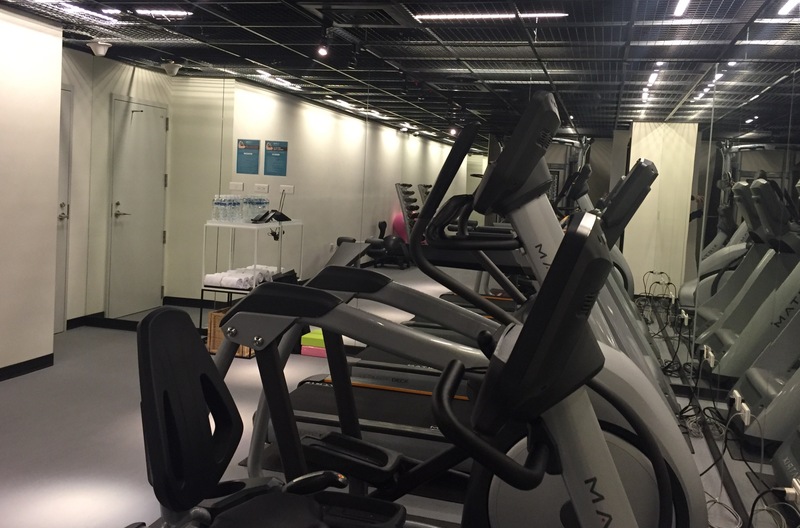 So while you’re waiting for your laundry, don’t get upset by looking at the time tick-tock because the 24-hour gym is just next door. 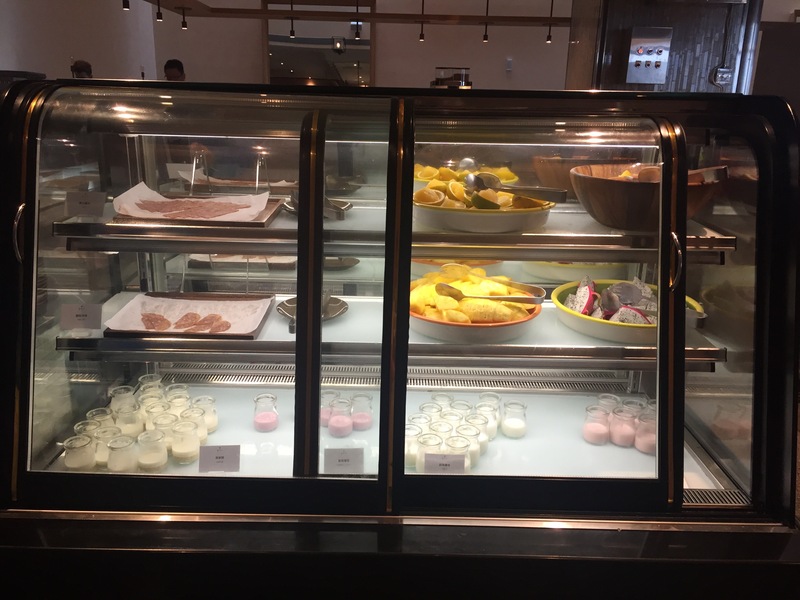 Que is a woodfired grill restaurant, this is the place where you’ll have your breakfast, there is a variety of food for selection from pastry, traditional foods like porridge, cereal with milk and so much more. 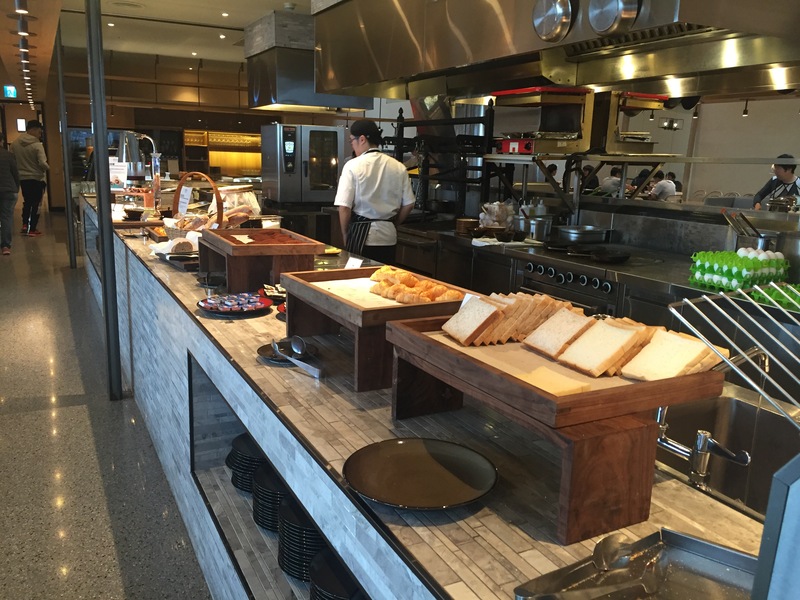 If you want more after breakfast, Que Restaurant serves lunch and dinner as well, feel free to check out their menu! The Eastern District of Taipei (臺北東區 or 台北東區) refers to the newly developed area in eastern Taipei. In its broadest sense, the Eastern District of Taipei is the whole region east of Fuxing South Road. With a plethora of business buildings, department stores and shopping districts, the Eastern District has now become one of the most cosmopolitan parts of Taipei. Taipei City Hall, Taipei City Council and Taipei 101 are all located in this district. Say YEAH! 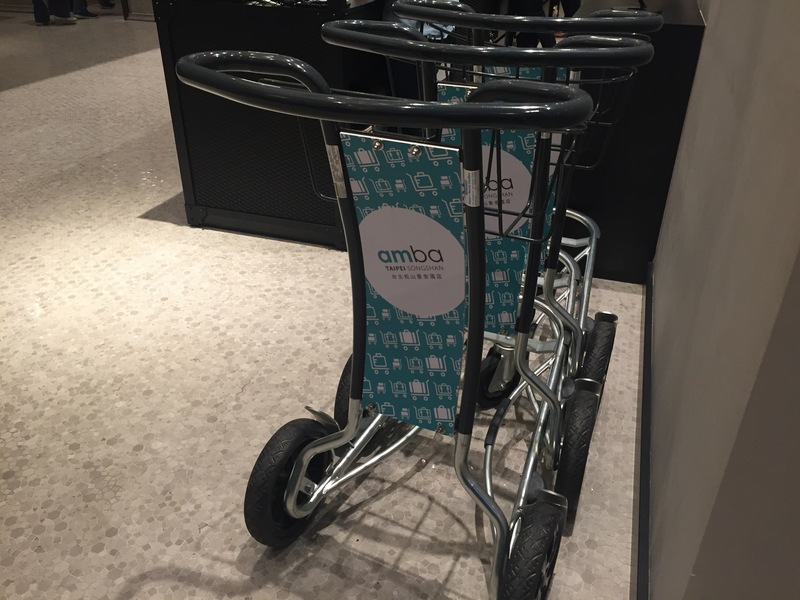 Free Shuttle by amba! With direct access to Songshan Train Station and Metro Station, amba also provides free shuttle service to Xinyi and Nangang districts. Going to Taipei 101? Or the trendsetting Xinyi shopping and business district? These places are just five minutes away from the hotel by the free shuttle service, check out the shuttle service timetable here or get a copy from the hotel lobby. 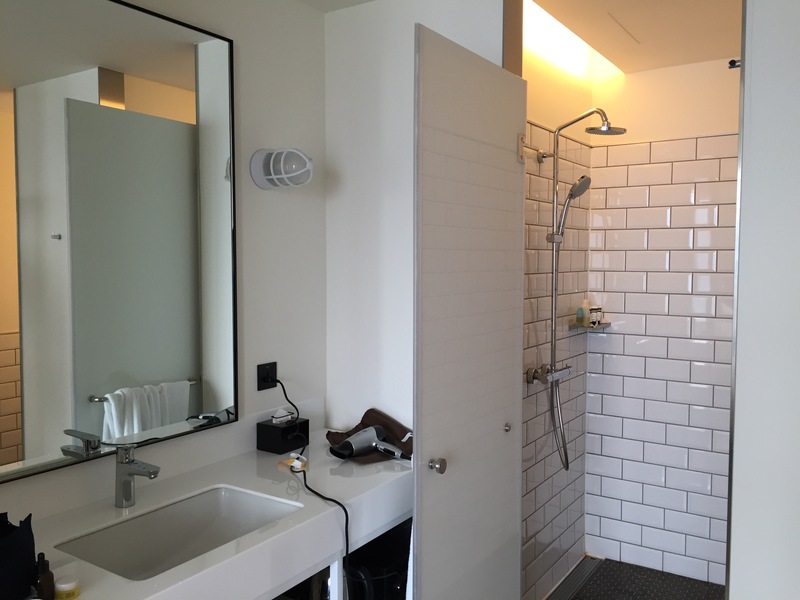 Walking distance within 5 minutes to Rao He Night Market and Wu Fen Pu (Shopping District)! It’s really easy to walk to Raohe Street Night Market from the hotel, get through CityLink mall and exit the mall main entrance, looking at your right is already the night market! Wu Fen Pu is one of the popular wholesale shopping districts in Taipei, if you’re in Citylink mall, follow the directional sign and it’s also within 5 minutes walk only! 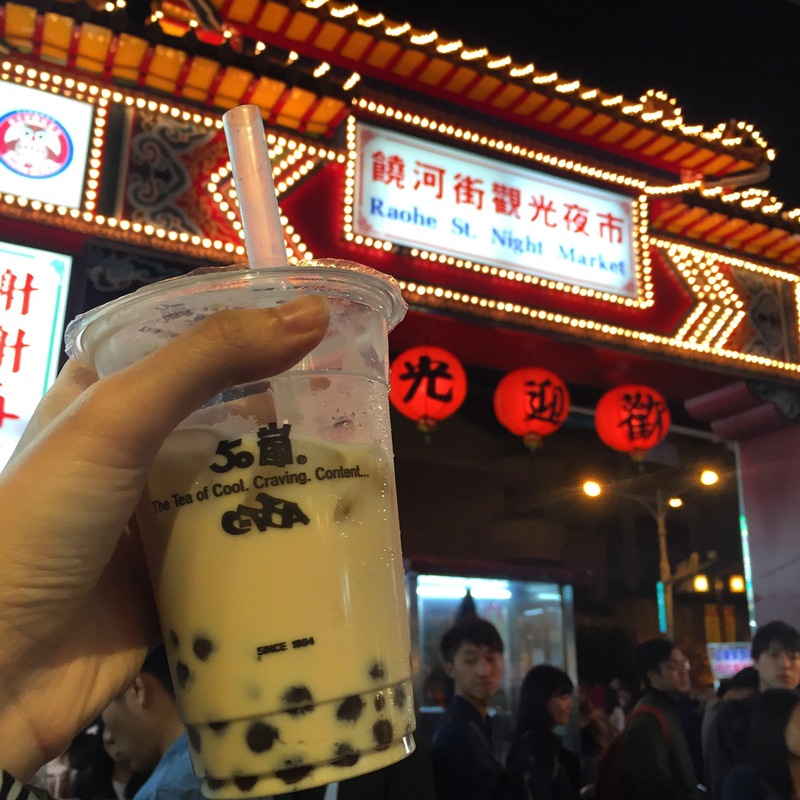 How to get to amba Taipei Songshan? From the airport, take the Guo Guang Bus 1819 to Taipei Main Station and then transit to Metro and stop at Songshan Station (Exit 4A). It’s also the same station if you’re taking the Taiwan Railway Train. 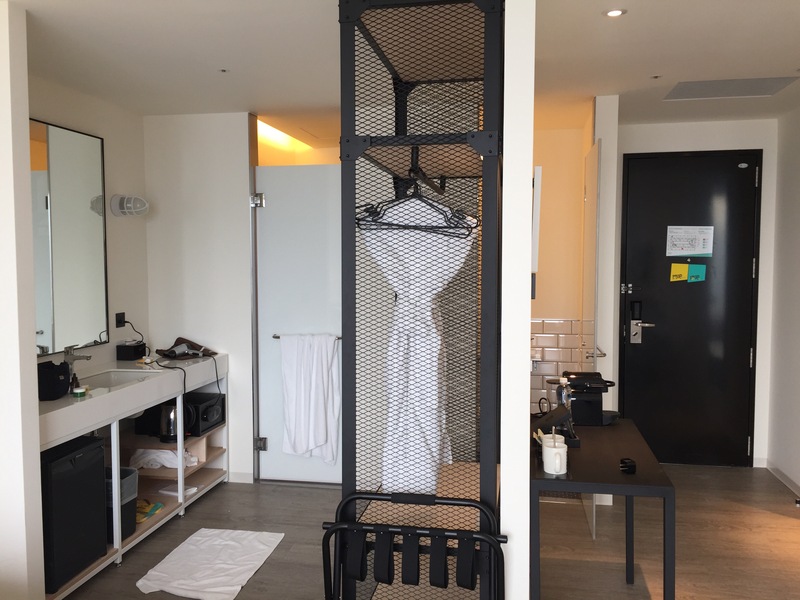 The hotel is 15 minutes drive from Taipei Songshan Airport and 45 minutes drive from Taiwan International Taoyuan Airport. 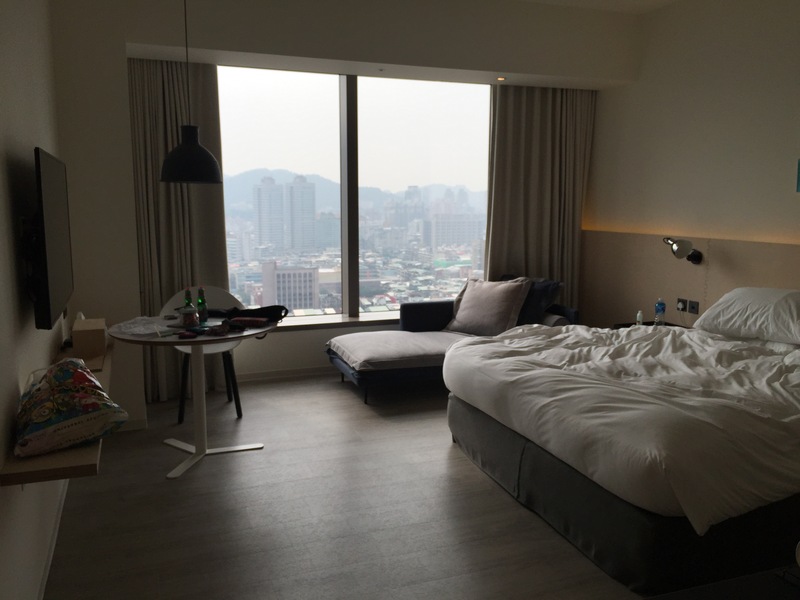 Travelling to Taipei? Book your stay today at amba-hotels.com! Previous Post Stay Connected with E-Connect in Japan! Next Post Stay conveniently near to Kyoto Station at 錺屋 Guesthouse Kazariya! 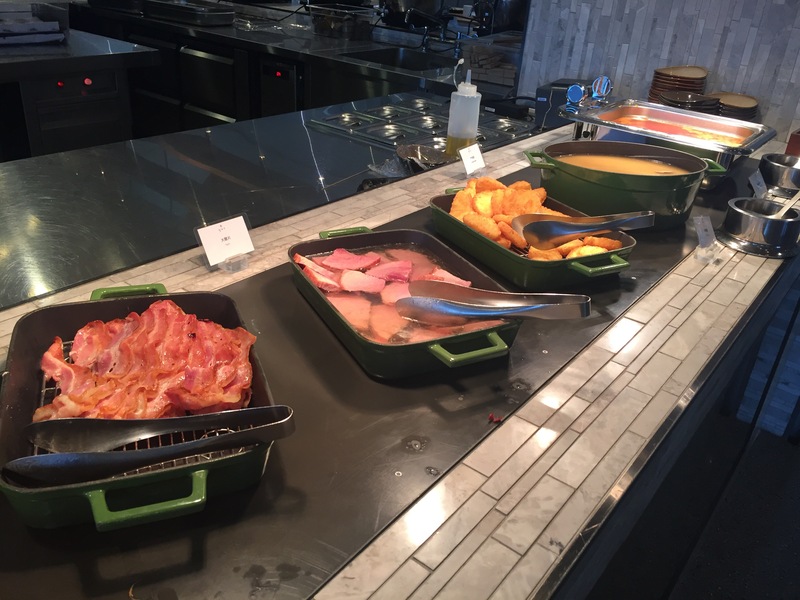 I heard about this hotel from my Friend and it sure looks good from this post!! I will definitely stay there next time! The hotel is big and spacious. I forget I stay where as it near to MRT station. Easy access to everywhere as Taiwan MRT is connected to each other. Next round will try stay at this hotel.